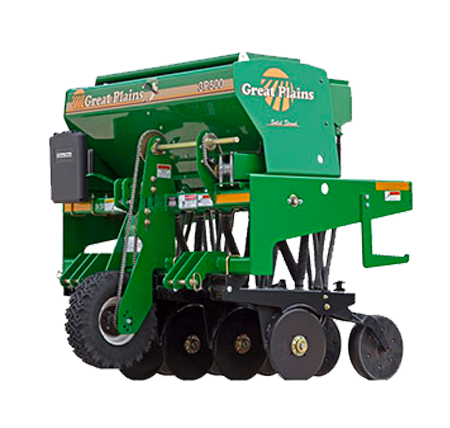 Great Plains designed its 5′ (154m) 3P500 and 6′ (1.83m) 3P600 Min-Till Drill to get into places big drills simply can’t – like wooded areas, orchards, and vineyards. 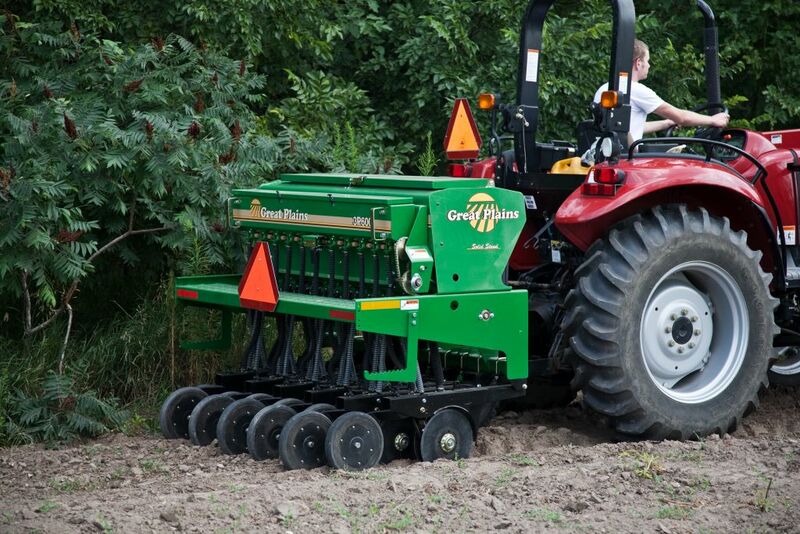 It is ground-driven and is excellent for seeding into fully prepared and minimum tillage plots. 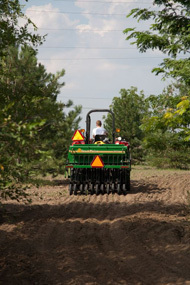 They feature 4-speed gearboxes for fast seed rate changes. It has a seedbox capacity ranges of 10 bushel (352L). 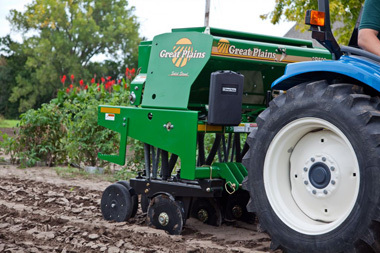 A small seeds box with agitator is standard on our 3P500 and 3P600 models to plant two different seeds at the same time. 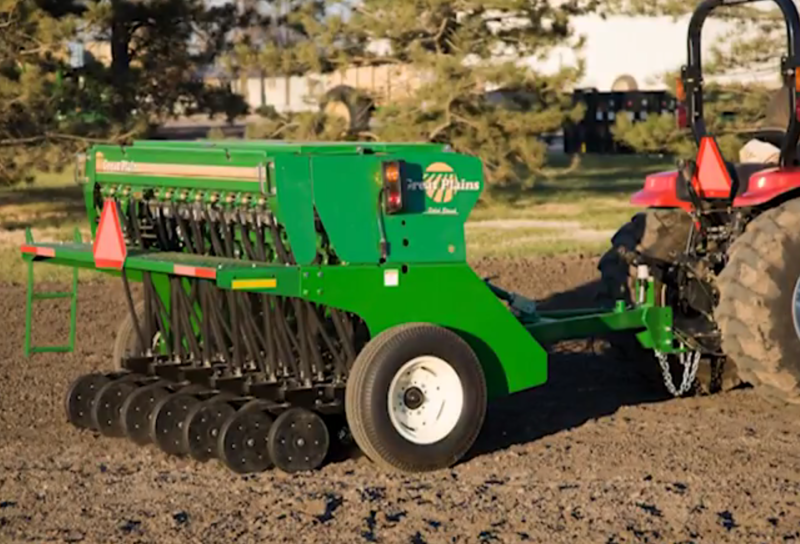 Other features found on these models include a highly visible seed level indicator; extremely accurate fluted feed cups; V-bottom inserts on the inside of the seedbox that allow all the seed to be metered; a convenient crank to calibrate seed; watertight lids that stay open for easy filling; and splash guards that prevent seed loss. 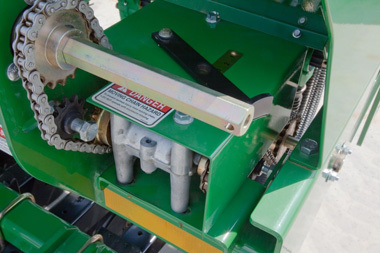 Lifetime lubricated heavy-duty gearboxes make seed rate changes quick and effortless. 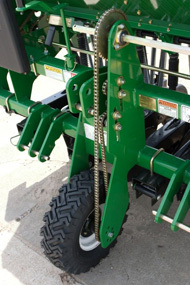 Category 1 and Category 2 hitches for easy mounting to different tractors. 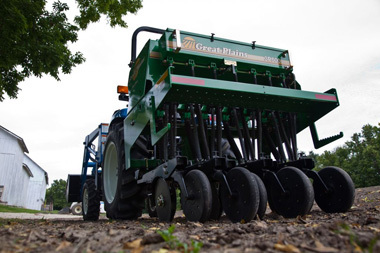 Positive ground drive with eight positions to get the right planting depth for your seed. 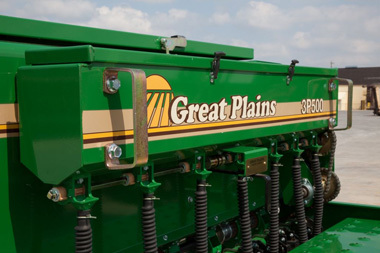 Great Plains 00 Series Openers are designed for min-till fluted feed drills. The 00 Opener features 13.5″ (34cm), 4mm blades mounted on 205 triple-lip sealed bearings. 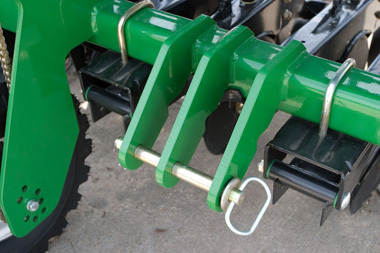 The 00 Opener has a 1/4″ (6mm) leading opener blade to help cut through tough residue. 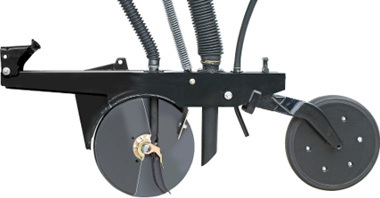 A rear gauge wheel uses a T-handle adjuster to provide 18 depth control settings. Standard 2 x 13 press wheels. Range of 90 to 180lbs (41kg to 82kg) of consistent down-pressure on press wheels.